With Inter entertaining Tottenham Hotspur at the Stadio Giuseppe Meazza, Interisti can once again dream of Champions League success, but today, a key man from their 2010 triumph, Dejan Stankovic, turns 40. Born on the outskirts of Belgrade, the Serbian always looked destined for stardom, flying through the Red Star youth ranks and contributing to a league and cup double in 1995 at the tender age of 16. Stankovic’s all-action displays saw him made captain at just 19 years old, but also brought interest from western Europe and, after netting a brace on his international debut in April 1998, joined the Lazio for €10 million. The youngster’s upward trajectory continued in Rome, scoring on his Biancocelesti debut versus Piacenza and becoming a first-team regular in a squad brimming with star names such as Pavel Nedved and Juan Sebastian Veron. Displaying creativity and a wide range of passing, he earned the nickname Il Dragone, adding a European Cup Winners’ Cup medal in his first campaign, as well as a domestic double of Scudetto and Coppa Italia in 2000. 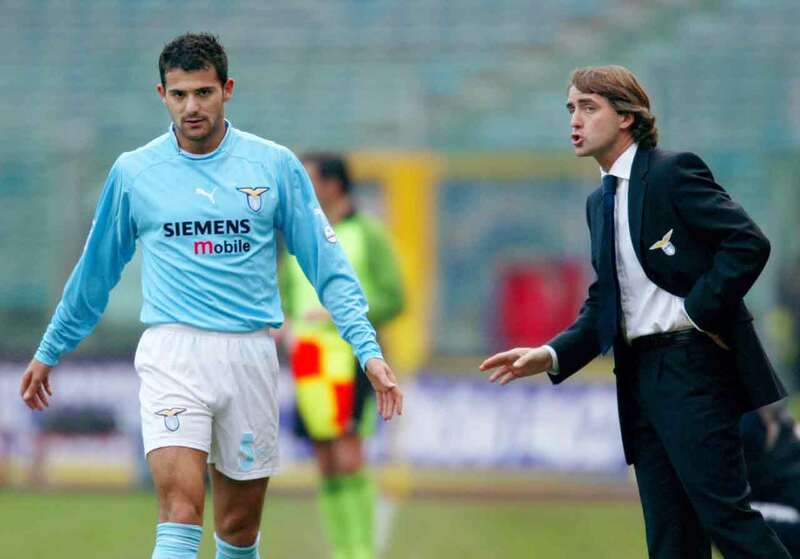 Eventually, financial difficulties engulfed Lazio and they were forced to sell the midfield all-rounder for a paltry €4m to Inter in February 2004. A period in which Real Madrid were paying €21m for Jonathan Woodgate! Stankovic could not have made a better start for the Nerazzurri, giving them the lead direct from a corner later in his first Derby della Madonnina against rivals AC Milan. When former Lazio teammate, Roberto Mancini, was appointed Nerazzurri coach, the midfielder became indispensable and played a prominent role during a period of domestic dominance – another memorable goal against the Rossoneri was coming in 2007. The Interisti clearly thought that Il Dragone had plenty left to offer though, and after reportedly agreeing terms with Juventus, they protested so hard the Serbian remained at Inter. A solitary strike and an injury hit campaign the previous year may have raised concerns, but the Serbian’s goalscoring touch returned in stunning style against Roma in October, before hitting the winner in the 270th Milan Derby. The following season there was no such talk of a Stankovic exit, his versatility playing a vital role as Inter went on to win a historic treble, starting the campaign in defensive midfield against Milan, yet scoring from 25-yards in a 4-0 win. That was nothing for the man who specialised in long-range efforts, two months later displaying exquisite technique to hit a first-time volley past Genoa goalkeeper Marco Amelia from just inside the opposition half. With the 2010 Champions League victory seemingly the end of that generation of Inter players, the performances of a 32-year-old Stankovic were one of few positives of the post-Mourinho era. A hat-trick against Parma and a goal from his own half (again) in the Champions League – Serbia’s record appearance holder in the competition – quarter-final against Schalke, the high points in what probably should have been his Nerazzurri swansong. Unfortunately, the next two years witnessed a rapid decline of Stankovic’s powers. However, his legend had already been cemented across the peninsula, if not the city of Milan, by contributing to two of the greatest Italy sides in recent history.